Editor's note: This article originally ran in September, just before the start of the NHL season. The 2017-2018 season concluded June 7 with the Washington Capitals defeating the Vegas Golden Knights, 4 games to 1. The National Hockey League boasts 31 teams, and during any given game each team has six players on the ice, save for time spent in the penalty box. Every one of those players creates a slew of statistics during the three periods through goals, assists or saves. Avid sports fans have long been analytically focused, using player and team stats to help forecast a team's chances throughout a season and into the playoffs. But that's not to say a team that looks perfect on paper will excel. Just ask Washington Capitals fans, who time and again have had Stanley Cup dreams dashed in the playoffs. 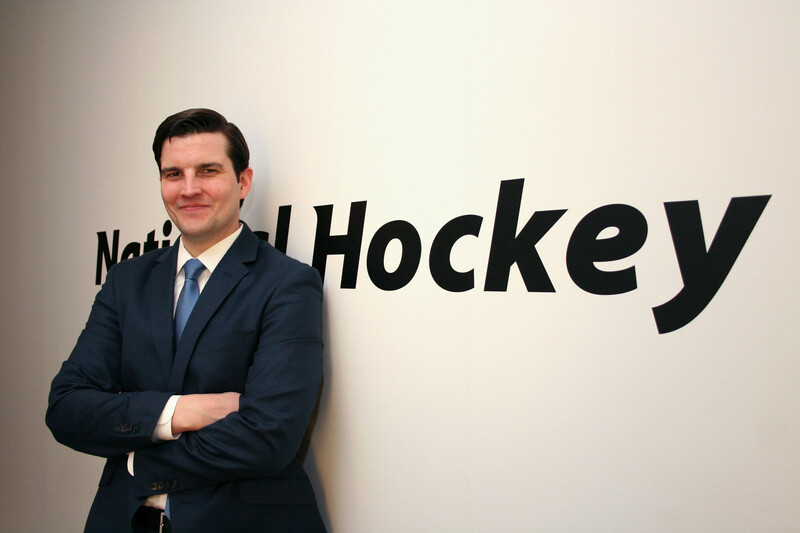 Passion for the NHL runs deep, and 15-20 years ago fans started researching, experimenting and creating new types of applications on independent websites using stats that already existed, said Chris Foster, director of digital business development at the NHL, in an interview with CIO Dive. While some analytics were conducted in an academic setting, many fans calculated statistics for the pure love of the game. So the NHL teamed with SAP to build a platform to boost online fan engagement with statistics by offering advanced analytics. Chris Foster, director of digital business development at the NHL. The NHL's partnership with SAP officially began in early 2015 as the two companies worked to change how hockey fans digested data. Though the project began with a redesigned stats page on NHL.com, the partnership always intended to augment the fan experience by injecting data into hockey. Taking a phased approach, the NHL started on the front end, which had a more immediate roll out. "But we knew back-end integration and the complete integration with our data base would take up to a year, and so those were done in parallel paths," Foster said. More than two years since the partnership began, Foster said one of the most notable improvements was fan engagement with NHL player and team statistics. "We've seen a significant spike in the engagement across our stats platforms and time on site," Foster said. "Basically, what we have found is that the users that come to the stats section over index on all basic traffic consumption levels and also with repeat usage." The advanced analytics site attracts super users and the most eager NHL fans, offering them more platforms to engage. Users who perform a STATS query have time spent on site increased from 129 seconds/visit to 318 seconds/visit. Prior to the partnership with SAP, NHL.com featured "traditional statistics," said Foster, including data such as goals and assists, which the league had collected since its formation in 1917. As the technology improved, the NHL offered different types of stats, but not until the partnership with SAP was the NHL able to offer enhanced stats and analytics, tapping into the processing power of SAP HANA. The SAP HANA platform democratizes analytics, creating an easy avenue for fans to evaluate the teams and players they follow. The database allows for real-time calculations on any stat the NHL has, offering different types of analytics like percentage-based stats, which allow fans to easily compare different players. Users can also layer in different types of context, such as a specific period or whether the game was home or away. To get fans to interact with countless stats, the NHL and SAP had to design the platform to eliminate the tedium of analytics. No matter how passionate a fan base, many still balk at raw data and spreadsheets. SAP and the NHL turned to design thinking, a process which brings together user needs, business requirements and technology when creating a product. The NHL invited season ticket holders from six cities — New York, Chicago, Los Angeles, Toronto, San Jose, California and Ottawa, Ontario — to participate in workshops with their local clubs. The workshops of 10 to 15 fans offered the NHL insight on how people were actually engaging with the stats platform. The round table allowed the organization to ask fans questions about its statistics and digital platforms, providing fans an avenue to offer ideas and feedback, according to Foster. One of the biggest takeaways for the NHL was the need for curated information. "[Fans] want the information, but they don't necessarily want to be the ones to go and get it," Foster said. "They want the league and the experts that work for the league to curate the content for them and deliver it to where they are." Hockey is a very fast, physical game, which sometimes makes it challenging to deliver stats to fans in real time. "What we have found when it comes to statistics, it's less about in-game and more about pre-game, post-game, really the sort of time periods where fans want more [information] about the sport and about the game but they're not actually watching," said Foster. Going into the season, which begins October 4, the NHL is working to build on those insights, with its writers, researchers and broadcasters to ensure they are completely fluent in SAP's statistical tools to facilitate the stats curation process. From there, the NHL can think about how the information is delivered, broadcasting it across social media and through mobile apps. The NHL is currently working on digitizing all its historic, game-level statistics, offering fans the complete statistical record for every game ever played. The historical data will be available at the end of the September. "It's a whole new wealth of data and a brand new data set that no one has ever seen in public. There's no other site, no other book. No one else has it," Foster said. As the stats platform continues to grow in use and capabilities, one of the NHL's main focuses is increased engagement. Fans tend to love their local team but don't consume as much data across the league, according to Foster. The league is working to generate interest across markets in different regions to ensure that even if a fan's team fails to make it to the playoffs, they will remain engaged.